Kickstarter Weekly: Game Salute Special! Well, like we said: Game Salute is busy powering a bunch of Kickstarter Campaigns, and bringing a bunch of games to market! So we thought we would dedicate an entire post to campaigns that wear the Game Salute brand, so here we go! We'll be reviewing this title here on TOG very soon. Magnum Opus is a deck-builder with a cool matrix of cards to research and select from! You can jump on board with this one for $35, which is a great value! But! If you go in for $200 you can also receive one of the 8 prototype copies that are being sent out to the reviewers. (Including the one sitting on Scott's shelf and the one sitting next to me (Jeremiah) right now!) How cool is that!? You can find the full details and lots of videos and such right here! There seems to be a lot of games delving into the realm of alchemy lately and we see another example of that here! The game is listed as a quick-playing card and dice game for 2-5 players, and seems to feature a fair amount of decisions on each players turn. You use dice to give the players actions (play cards, etc.). You can get in on this one for $25, and with plenty of time left they've already funded, so there should be some sweet stretch goals in the future for backers! You can check out the full campaign, right here! After a long day in the zoo, animals go full out in a samurai battle royal. This card battle game pits players against each other in an attempt to be zoo champion! When the deck runs out the player holding the most chi tokens is crowned Zoo Fu champion! A super inexpensive game to jump into at $15, and looks like a fun, light family game! They need a good boost to get to their funding goal on this one! You can check out the full campaign here! KerFlip is a fun fast paced word game that we reviewed a few months ago. (Read that review here!) But wait...there's more, because with the help of Game Salute, Creative Foundry Games is upgrading KerFlip for a second edition! It's really quite simple: If you have the original version, for a $10 bill you can get a conversion pack, or if you back it for $25 you'll get the 2nd edition of the full game! The campaign is right here! Thanks, as always, for reading! If you like what we bring you every day, take a second and sign up for our email list over on the right! You can also interact with us on Facebook, Twitter, Instagram and YouTube! Giveaway #2—We Have a Winner! Thanks to the fine folks at Clever Mojo Games, we have a copy of Sunrise City to give away to celebrate our 1-year blogiversary. Did you win...? Once again, we went to random.org to generate a random number. After counting off that number of followers, the lucky winner is a fellow blogger, and a board game designer: Ed Marriott! Congrats, Ed! We'll be in touch so we can send you your game. But we're celebrating our 1-year blogiversary for this entire month, and we have yet another game to give away next week! We can't reveal what it is quite yet, but believe us: it's boss! So keep reading, and if, for some reason, you're not subscribed...do it! The follow up to Dice Hate Me's coffee game, the dice game appears to be more than just a dice version of the original VivaJava, but introduces new game play themes and concepts. The campaign funded super fast and they've already knocked down a couple stretch goals, with plenty of time left! $30 gets you the game and any stretch goals as well! You can check it out here! You can also check out our interview with designer TC Petty III right here! The Agents is a card game based around a series of characters who are all decommissioned secret agents who have been reactivated. The game play invovles playing agent cards and choosing to either score points, or use their ability—the catch is that whichever you choose, the other effect works in favor of your opponent. We'll be getting the latest prototype of this game and let you know our full thoughts very, very soon! Check out the campaign here; it just launched and you can get in on the early bird deal, which scores you the game for $15! Game Salute is powering another Kickstarter Campaign, and they're doing it very well (as usual)! Ancient Terrible Things is a dice roller with some meat on its bones. A good level of resource management adds some nifty decision making elements to the game. Check out Jeremiah's video preview of the game here. You can check out the campaign here, it's been funded and they've also hit several stretch goals. A pledge of $45 will score you a copy of this fun dice-roller! Jason Kotarski has designed a mini game, along with his daughter Claire, that plays in just a few minutes. We've reviewed the game, and it's a great kids game! The campaign doesn't begin until tomorrow (Friday, July 12) but you can get a sneak peek ahead of time, right here! We're super excited for Clever Mojo, who just brought this one in under the wire! This is yet another successful campaign by Game Salute. This game has been a long time in the works, and we're glad to see that it will make it to the marketplace soon! Jeremiah was fortunate enough to play one of the prototypes, you can read his full review here. Want more Dragon Throne goodness? Check out our interview with Fred and David Mackenzie here! The first in Crash Games' Pub Series of games, that feature small games with big game play! The campaign funded at 303% hitting over $27k! That unlocked what Patrick says is the most exciting stretch goal - a 5th-player expansion! We haven't played this yet (unreal!) but we LOVE the idea of the game, and see a smash hit coming to market with this game's arrival! Congrats Crash! Thanks so much for reading, as we continue our 1-year Blogiversary! Don't forget to subscribe to the blog over on the right, and you can win a copy of Clever Mojo's game Sunrise City! And look for us wherever social media is happening, Facebook, Twitter, Instagram, and YouTube! If you were around last week, you know that we gave away a copy of The Great Heartland Hauling Co. to a very lucky individual! This week we're giving away a free copy of Sunrise City from Clever Mojo Games! In fact, it's the very same copy pictured here! The way to win this amazing prize is quite simple: Just subscribe to the blog! That's right, if you type your email address into the little box over on the right, you'll be entered into our fantastic and unbelievably easy-to-win contest! Already subscribed, you say? Well then you're already entered! Yes. It's that easy! If you enjoy what we're doing here at TOG we would be ever so grateful if you took a moment to share this contest with your friends and family. If you don't enjoy what's going on here on our little blog, then maybe you could inform your arch-nemesis? There is a bit of not-so-fine print to go along with this contest: We can only offer the contest to US and Canadian residents only. We'd love to ship it across the Seven Seas but the cost of doing so is prohibitive. If you would like to enter and pay for the shipping, we would be glad to do that! We get really excited when folks connect with us on social media too! So be sure to hit us up on Facebook, Twitter, Instagram, and yes, even YouTube! We'd also like to give a HUGE thank you to Clever Mojo Games and Game Salute for furnishing us with this great prize to give away!! Thanks guys! Today we have the pleasure of interviewing the team behind Clever Mojo Games’ Princes of the Dragon Throne: Fred and David MacKenzie. Guys, thanks so much for taking a few minutes to answer some questions with us today. Let’s start off by having you guys tell us a little bit about yourselves. FRED: Hi! Happy to be here. Well, what’s to say? I’m just a typical middle-aged guy who loves playing games. To be honest, I might actually enjoy designing them even more. DAVID: Well, I’m just this guy, you know? I’m more of a game adjuster than a designer. I look at game ideas that Fred and others have, offer feedback and suggestions, then help them bring the design to tip top performance. FRED: Don’t let David fool you. He’s a good designer with a couple good ideas already in prototype stage. He just doesn’t have time to work on his own designs now. How did you get mixed up in this crazy gaming industry? FRED: That would be David’s fault. We grew up playing all the standard fare that everyone else was playing in the ‘70s and ‘80s, then just party games with the family, then pretty much nothing for several years. I was introduced to Settlers of Catan and Carcassonne in 2006 and I showed them to David soon after. We were hooked. The discovery that games like these were available re-awakened David’s creativity. One day he told me he was working on a game design and asked if I would like to help. This game became Ogre Castle. DAVID: Actually, Fred and I each had game ideas independently of each other and we just dove in and started designing and playtesting. Fred’s idea was called “Oubliette” and mine was “Ogre Castle.” Oubliette was going to be the first game we published, but we lost momentum after a game agent turned it down. We put more work into Ogre Castle and in mid-2009 we put out a homemade garage production and Clever Mojo Games was born. So let’s talk about Princes of the Dragon Throne: Where did the idea for the game come from? FRED: It needs to be said that the game we now call Princes of the Dragon Throne was originally intended to be something quite different. My first inspiration came from the fact that I love dragons and wanted to design a dragon game. My second inspiration came from a poem David wrote, which tells of the life of a dragon, from birth to death. My first version (in 2009) of a game based on that (which was called Dragon Frenzy) required 125 dice! I knew there was no way a game could be affordably made with that many dice (this was before Quarriors) so I scrapped that idea. I won’t bore you with the details, but Dragon Frenzy went through many iterations over the next two years as I attempted to discover just what this game wanted to be. Near the end of 2010 I played my first games of Dominion and Ascension and I just knew I wanted deck-building in the game. For the next four months Dragon Frenzy was developed to be similar to those games, with a few tweaks. But the game just seemed to be missing something, so I told David of my ideas for adding worker-placement and area-control to our current resource-management and deck-building mechanics, and actually making a board game instead of a card game. This is the game we have been developing ever since. With these changes the name Dragon Frenzy didn’t fit anymore and Princes of the Dragon Throne was born. DAVID: Yup, what he said. Can you tell us how the game plays? FRED: Thematically, players are dragon princes making a claim on the now-vacant dragon throne. Mechanically, players use their starting decks to gather resources. They use those resources to recruit more influential prospects into their hands. They use those recruits to place supporters on the board. They use those supporters to gain control of as many kingdoms and guilds as possible. They use that control to influence the clan houses in the dragon parliament. When all members of the dragon parliament have chosen a prince to support, a new king is crowned. What about Princes of the Dragon Throne will make it stand out from other games in its genre? FRED: I guess that depends on what genre it is placed in. Is it a deck-building game? Then its area-control mechanics will make it stand out. Is it an area-control game? Then its rich theme will make it stand out. Is it a highly thematic game? Then its worker-placement mechanics will make it stand out. Is it a worker-placement game? Then its deck-building mechanics will make it stand out. DAVID: In my mind, what makes PDT stand out is that it uses deck-building in a non-traditional way. Deck-building is not the game; it’s the engine that drives all of the other game systems. The cards you recruit into your deck control the resources you can acquire and the guilds you can control and the clan houses you can pack with your loyal dragon lords. It’s really a whole new animal, and we think gamers will be intrigued. Can you tell us a little more about the designing process—did one of you handle certain aspects and then put them together, or was it a collaborative effort from beginning to end. DAVID: As I mentioned before, I’m less of a designer and more of a project manager and game doctor. PDT is Fred’s game and he was the driving force throughout. He’d give me a new version to try and I’d run it through my local play testers and then give Fred the feedback and ideas we had. He’d consider them, reject most of them, keep a few, and then we’d do it all again the next week. So, yes, it was collaborative to a point, but Fred was always “THE” designer. Is there anything else you guys are working on that we should keep an eye out for? FRED: I have a small press-your-luck dice game called Monsters and Maidens that has already launched for support on JumpStartCity.com. I have dozens of other ideas, several of which are at varied stages of development, but none of which are actively being worked on at the moment due to concentrating on getting the first two produced. DAVID: Well, PDT is the major project for Clever Mojo Games at the moment, but I’m also working with several other designers on projects you’ll see on Kickstarter later this year. The two closest to the top are Magnum Opus by Ian Steadman and King’s Forge by Nick Sibicky. Magnum Opus is yet another riff on the deck-building mechanic that will make people re-think that genre, and King’s Forge is a dice-building and management game that’s fiercely competitive. Oh, and there’s a new expansion for Alien Frontiers coming to Kickstarter in a couple of months. 2013 is a VERY busy year for the Clever Mojo Game label. 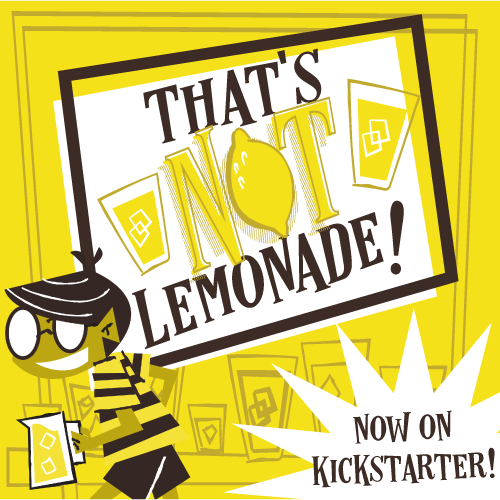 Since launching the initial Kickstarter you’ve taken down the campaign to re-tool and re-boot it. Can you tell us a little bit about your thinking behind that decision and what changes were made to the campaign? DAVID: Basically we learned that games are not like Reese’s Peanut Butter Cups. Chocolate and peanut butter might taste great together, but Euro-game mechanics and Ameritrash minis just cause confusion. Euro-gamers maintained that the game was overproduced and Ameri-trashers were wondering why their minis were bogged down with a game. The other lesson I learned personally, or rather I should say “re-learned”, is that Kickstarters don’t really want a FINISHED game. They want to see a game at bare-bones and then get the thrill of building it up through stretch goals. I learned this in Formula E and I learned it again on Princes of the Dragon Throne. We’d love to hear your top three games of all time, and why you love them! FRED: There are so many games I haven’t played that any list of favorites will seem severely lacking to most people. Currently my favorite light game is a tie between The Great Heartland Hauling Company and Biblios. Both games are easy to learn and fast to play and just a ton of fun. My favorite medium game is Finca. I love rondels and hope to design my own rondel game at some point. For my favorite heavy game I am totally going to cheat. I have only read the rules and watched several reviews but I know that I will absolutely love Stronghold when I finally get to play. If that answer doesn’t count, I also love Trajan and Castles of Burgundy. DAVID: When people ask me “Have you played X, or Y, or Z”, I always tell them it’s best to assume I have not played it. I spend so much time playing prototypes that I can hardly remember the last time I played a published game. The games that are my favorites now will be your favorites 2 years from now. That’s the best answer I can come up with for that. FRED: I love the challenge of testing my mental aptitude against my opponents. I love the fellowship of hanging out with friends, or making new ones. I love the escapism when I just want to get away from the daily grind. Of course, these days the daily grind includes board game design, so sometimes it‘s hard to distinguish between the grind and the escape. But I still love it. DAVID: It’s about the socialization for me. I’m no Brainiac and I lose nearly every game I play, but I have fun with the people who are playing. If a game is too serious and thinky and tense, then I’m not having fun. David, your email signature says you are the “Shepherd of Games” at Game Salute, could you explain the thought behind that title? DAVID: Game Shepherd is the summation of what I’ve been saying about my role in game development. I work with designers to bring their games to life, grow them into strong healthy titles, and then lead them through the production process. It’s very rewarding when a game I’ve been shepherding for a year or two finally hits the dealer table at a convention. 1 Word Questions - Please answer these next 5 questions with only 1 word (or phrase). Do you have an archenemy? FRED: I don't really care if they label me a Jesus freak. DAVID: We Will, We Will, Rock You! You can check out the rebooted Princes of the Dragon Throne campaign here. Thanks for joining us for this fun interview! - By Jeremiah Clever Mojo Games has, along with designer Fred MacKenzie, put together a large-scale board gaming experience that is truly unique...while somehow familiar. In Princes of the Dragon Throne players assume the role of one of the overlooked princes of the recently deceased Dragon King in the land of Lo'en. Beginning with a small amount of loyal followers you'll attempt to gather resources, persuade prospects to join your forces, and earn favor of the guilds throughout the kingdoms. Which prince among you and your siblings will rise to power and take the throne? Only time will tell. The board is separated into 6 kingdoms (Humans, Elves, Sorcerers, etc. ); each kingdom is made up of 6 guilds (Merchants, Shepherds, Warriors, etc.). There is also a space for a prospect card (either dragon or citizen) in each kingdom. Surrounding each guild in every kingdom are 5 slots for Supporters or King's Guards. To setup the game: - Place 2 King's Guards in every guild (this will use all of them). - Give each player their starting deck of 10 cards. - Take 3 Dragon and 3 Citizen prospect cards, shuffle them, and place one in each kingdom. - Give each player three of each resource type (Gold, Sheep and Influence). - Each player then takes 5 of their Supporters (placing the rest to the side for now),all of their Dragon Lords, and their Dragon Prince. Game Play On a player's turn he or she can perform one of a possible four main actions, and a number of additional "King's Guard Actions," provided they have a King's Guard to use. Recruit a Prospect—Once you've gathered enough resources, you can then begin to recruit prospects from the game board, by paying the value listed at the very bottom of the cards available. When you recruit that card, you snag another Supporter from your reserve pile; you also potentially score points (if there is a claw icon next to the cost). And if that wasn't enough, you get to remove a card from your hand or discard pile from the game! If at any time you have more Supporters than any other player (or King's Guard) in a guild, you gain control of that guild. You get to place a spiffy token on it, score two points, and gain a guild favor card into your deck to use one time (and then it goes back into the general supply of guild favor cards). And you get to place one of your Dragon Lords into one of the houses around the Dragon Throne (either matching the color of the kingdom or guild that you just took control of). After (or before) you've done one of those four main actions you can also use a King's Guard action (as many times as you like... provided you have a King's Guard to use). The King's Guards that you gain by deploying Dragon Supporters allow you to do a few things. - Place 2 new prospects (if you don't like any that are out there). - Place 1 prospect card back on the top of a stack (if someone covered up one that you like). - Discard any number of cards (you still don't get to draw back up until the end of your turn, but it gets you through your deck faster). When your turn is over, draw back up to five cards (if you've played any) and the next player begins their turn by placing new prospects from either the Dragon deck, or the Citizen deck (their choice) if there are any empty slots, and then they proceed to take their turn. Parliament—One last feature of the game is Parliament. Whenever a player's scorekeeper passes a red spot on the score track (at 6, 13, 21 etc.) parliament is held and players take turns placing their Dragon Prince in a house (starting with the player in last place). Each house has its own house bonus, which will give the player a special edge, or action, on their turn. When the next number is reached you do it all again. Family/Party Game? Uhmmm about that. No. The game isn't hard to learn, but there are tons of aspects to grasp before even beginning to strategize. This one is not for the kids. Youth Group Game? Not really. The setup is lengthy, the gameplay is lengthier (about 2 hours, once you've learned the game), and it doesn't lend itself to a big group setting. Gamer's Game? Absolutely! This may be the very definition of a Gamer's Game! Intricately woven mechanics, rich back-story, and tons of pieces-parts—the more I learned about the game the more I loved it! Components—I can't really speak to the final quality of the components; I was sent a prototype of the game with good ol' fashioned wooden meeples. But I will say this: Even the "rough draft" style of the meeples was pretty fantastic, and the renderings of the finished minis look splendid! Clever Mojo is going all out for this one, folks! Gameplay—There's a lot to take in. I've played with 2 players and with 4 players, and if you're in a 4-player game it can get a little sluggish if folks don't plan ahead. That being said, there are a ton of different decisions to make on each turn; just choosing which of the four main actions you're going to take can be a painstaking process! "Do I buy up that card before someone else does, or do I deploy Supporters while I've got this dragon in my hand, or do I save up resources so I can get that awesome dragon??" There's a ton of planning and a ton of decisions to make on each turn, so be ready to make threats of bodily harm to those who are lagging behind. If I had any small complaint about the way the game plays, I'd have to say I don't know how well I like the Maneuver Supporters action. It seemed a little too free, with being able to (in a Risk-like fashion) move your Supporters around and conquer guilds. Yes, there was a risk (pun intended) to getting that reward, but I felt it could have used a little tweaking. Artwork—Again, what I had my hands on was a prototype, and I don't know how close to final everything was. But the cards already looked fantastic—lots of great detailed illustrations, and not one was like the other. Each Dragon and Citizen featured a name and a bit of flavor text; a lot of work went into the thematic realm the game is placed in. Beautifully done. Overall—With elements of deck-building, worker-placement, and area-control—and finding a great balance and synergy between the three, while throwing in a pinch of resource management—Princes of the Dragon Throne combines the best of your favorite game genres into a large-scale board game. Simply put: It's epic! We'd like to thank Clever Mojo Games and Game Salute for loaning Jeremiah a prototype of the game; this had no effect on the content of this review. If you'd like to back Princes of the Dragon Throne on Kickstarter, you can do so here.